The title being quite obvious, I'm looking for Erie Railroad Magazine's February 1952 issue which had a detailed article about Harlem Station property and operation. 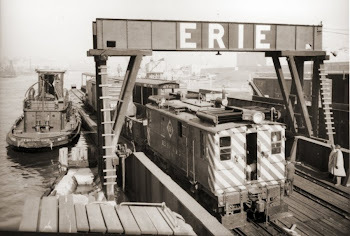 Many websites and later articles about the Erie 149th Street Terminal refer to this article, but while trying to figure out the tenants, it has become quite obvious each author has its own interpretation of the facts. To be blunt, there are a lot of discrepancies and available historical photographs paint a slightly different pictures. So, I need some help to locate a printed or scanned version of that precious article since it is directly related to the layout era. 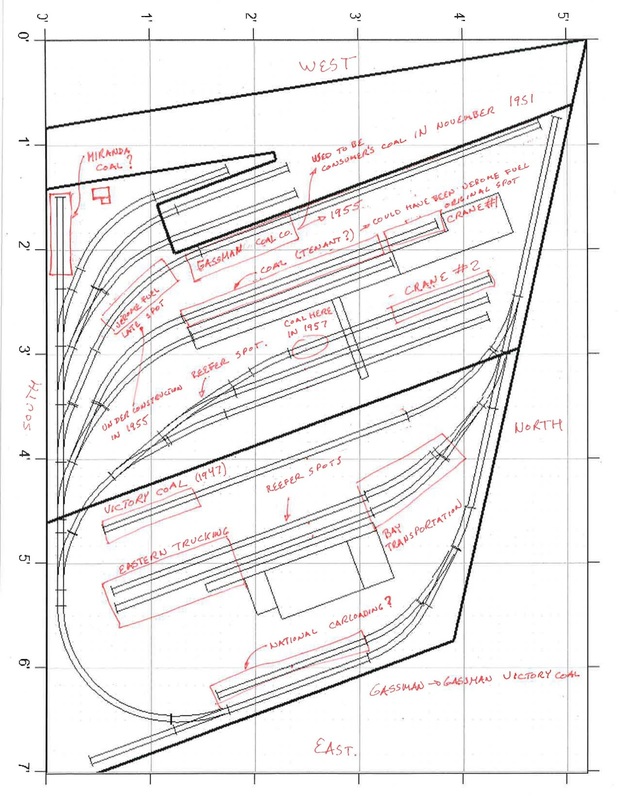 One of the main reason I need the article is to locate precisely Harlem Station tenants so I can devise a somewhat accurate way to operate the layout. My target era would be 1952 or 1955 though I prefer 1952 since the thawing shed was still standing and the Erie Railroad Magazine gives a lot of information about that specific year. -Bay Transportation trucks were generally found near the freight house, particular on the north side near 150th Street. -Eastern Carloading trucks can be seen on the south side of the freighthouse. -Victory Coal trucks are located near Eastern Carloading. More on Victory Coal later. -The crane company used the concrete ramp and the west siding under the gantry crane (booms were transported on gondolas). Some people identified the crane company as Gerosa, but I wasn't able to positively find evidence of that name on pictures. 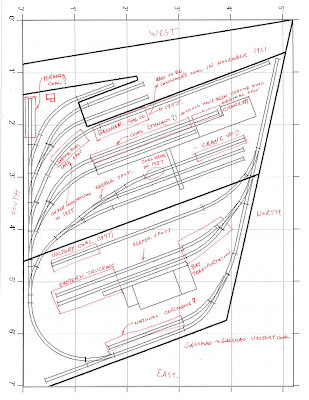 -Consumer's Coal used to be located on the siding located near the apron and carfloat. It isn't clear if they also were the company that used the siding near the thawing shed but that could be possible. -Jerome Fuel was located on Consumer's Coal siding but near the turnout according to a mid-1950s photo showing their office shed under construction. However, according to Erie Railroad Magazine, they were already a tenant.Unfortunately, I don't know where they were located back in 1952 and 1951 statistics state it was the largest customer served at Harlem Station! -Gassman Coal was located exactly where Consumer's Coal was. The change visibly happened at the same time Jerome Fuel became a tenant. It should also be noted that some New York City documents online indicate Gassman Coal used to sell Victory Coal. Thus, could it be Gassman was already a tenant and relocated at Consumer's Coal spot later? -Mirandi (or Miranda) Coal was a tenant in 1952 but I can't locate it on photographs. However, I know the short siding on the pier handled coal hoppers and a small office and scale house stood there. Unfortunately, no sign is visible on pictures, but that would be a likely spot. -Adolf Gobel is also indicated as a future tenant but it's hard to know where it was located. However, almost every reefer cars are spotted in front of the freight house. -National Carloading was also another tenant, but I don't know their exact spot. They could have used another siding located east of the freighthouse. As a matter of fact, it seems boxcars used to be spotted on the eastern side of Harlem station while hoppers, flatcars and gondolas were handled on the western side. -Finally, Harlem Station also dealt with wine. Some pictures of Harlem River show carfloat with Chateau Martin reefers, thus I guess it was the same kind of traffic that was handled at Harlem Station. However, I have absolutely no idea if the cars were spot sensitive or not. Have you tried any university libraries, perhaps in Cleveland or the NY City Public Library's business library? Bonne chance! Thank you very much Ted! I must admit I'm not very familiar with theses institutions. A quick browsing of both library catalogs yielded positive results. Thanks again!